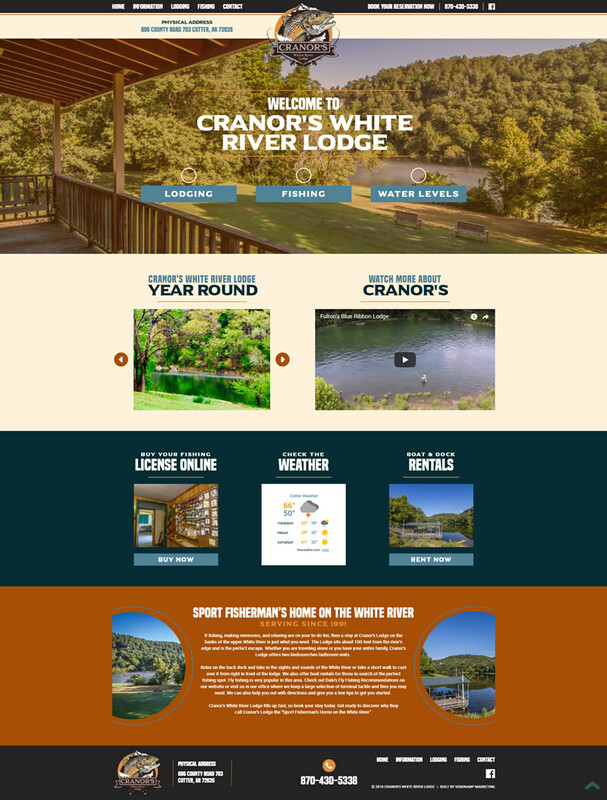 The website for Cranor’s White River Lodge features the latest on-page SEO and technological updates. The responsive, mobile-friendly design is visually captivating, easy to navigate, and provides plenty of relative content for tourists, White River fishermen, and potential clients as they plan their next Ozarks vacation. The “Sport Fisherman’s Home on the White River” is perfect for those who are looking for a place to fish, relax, and get close to nature. Cranor’s White River Lodge sits about 100-fee from the river’s edge, and it is only a short walk to cast and start fishing.